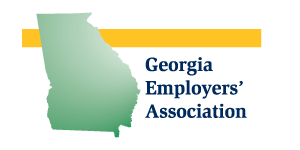 Through our strategic partnerships, Georgia Employers’ Association is able to offer comprehensive management consulting services and training for our members. Our consultants can bring real world experience and established best practices to the table that will provide your organization with insight and identification of specific target areas for improvement. Areas of expertise include strategic planning, management assessment, team building, HR management and customer satisfaction. Specific capabilities include coaching, succession planning , performance assessments, quality service audits and other services. 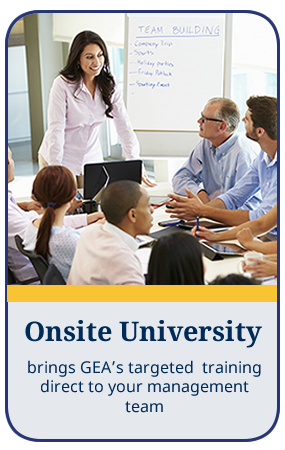 GEA’s Onsite University program is available to member companies that are interested in targeted training for their management team.  We’re able to customize training to meet specific needs or objectives or to provide new information for managers, supervisors, or the executive group.